we have finished loading our van and will be off to the Colchester Country Show in the morning to set up in readiness for a 3 day show starting on Saturday. 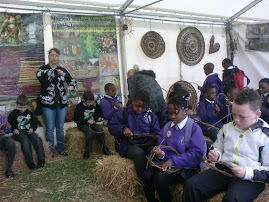 we will be demonstrating basketmaking and Steve will begin a willow sheep that has been ordered. hope that the weather is kind to us as we will be sleeping in our new van for the first time.